I’m not sure what a “technical alpha” is, but I joined one. As everyone will probably know, Heroes of the Storm is good old Blizzard having a go at the whole moba/dota-clone/arts business. Apparently this is what all the cool people do. But so far it has been a pretty frustrating and rather average experience. Strange as it may sound, that does not necessarily mean, the game’s not fun. Now, I’m only level 7 right now, which means I only played about ten games and one of them was a co-op match against some AI bots (which I needed to do in order to unlock the actual PvP mode). Therefore this should be taken with more than a pinch of salt. Also if you’re thinking now that I should probably quit this genre alltogether after complaining about the ranked matches in Dota2 1 lately, I can safely tell you that this is not an issue. In fact, I won my last 20 out of 25 Dota matches, so I’m totally zen. No, the frustration I’m currently experiencing is partly due to some major changes that are made with HotS 2 in comparison to the “old school” Mobas like Dota. The obvious (and well-known) changes concern experience and gold. Heroes are not gaining experience on their own, but all experience is shared among the team. 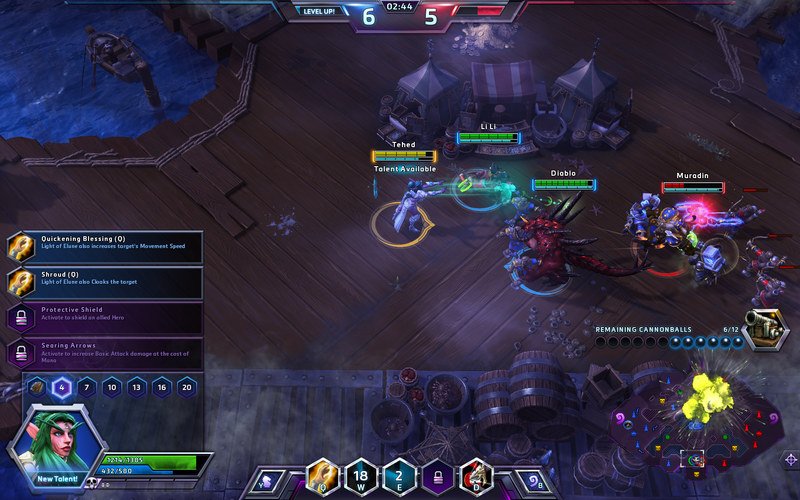 Thus all players of a team have the same level during a match and this “team level” is displayed prominently on top of the screen where you might see hero kills in other games. When it comes to gold, there simply is none. As a result, there are no items either. So far I’m ok with this. But from these basic principles create other differences that I haven’t managed to deal with yet. In Heroes of the Storm, the laning phase was removed nearly completely. 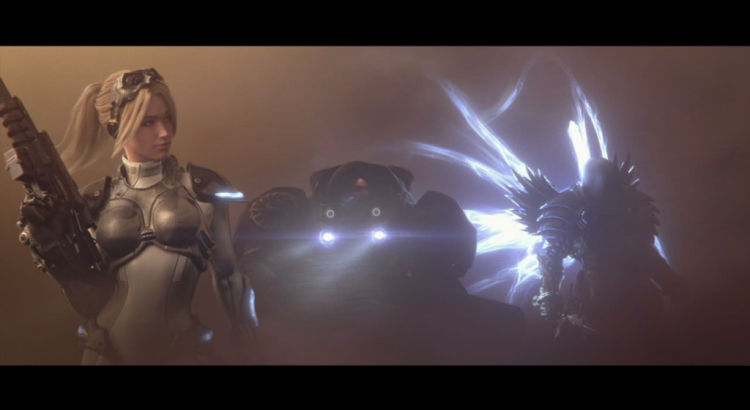 Your hero has three abilities right from the start of a match and unlocks an Ultimate ability during the game. At certain levels you just get a selection of traits or talents (activatable and passive) and you select one of them. Unfortunately the available traits have to be unlocked via playing and leveling up your profile and as with League of Legends, I’m just not a fan of this kind of meta-game. As I see it, people that played more or longer have an edge over newer players simply by having those traits unlocked and I just don’t like seeing that in a more competitive PvP game. Very much like chess, I prefer people having the exact same starting conditions in a match. This is just a personal issue though and I know people who especially prefer those kind of systems. All this results in a game that is very much focused on team fights and playing the objectives of the respective map. In each map at certain points of time you can fulfill a specific objective and if you win it, you can get a massive advantage over your opponents. This means, both teams are not only encouraged, but basically required to rush towards the respective objectives and get into team fights about them. But as far as my experiences go, simply nobody does that. It’s horrible. Let’s take the “Haunted Mines” map as an example. At certain time intervals the mine entrances on this map are opened and you can go underground in order to collect skulls. At the end of this event a golem will spawn for each team and his strength depends on how much skulls each team collects. It’s really sad to see one of your team mates happily and seemingly undisturbed pushing a tower on the surface while your team loses the fight about the skulls in the mines by 75:35. At this point, you might as well give up. The map objectives have such an high impact that I have yet to see a game that is somehow close or hotly contested, let alone comebacks from a disadvantage position. All matches I played have been either decisive victories or crushing defeats. If one of your team mates isn’t aware of the objectives, there’s a high chance you will lose. Since Heroes of the Storm is supposedly a more casual, relaxed experience with a lot of the complexity of the likes of Dota2 or LoL stripped off, I was very surprised to find it a whole lot more frustrating as a solo player. If one of your team is having a hard time or is making some errors in Dota2, his or her team mates can maybe help, support, turn it around. In Heroes of the Storm, you’ve basically lost. 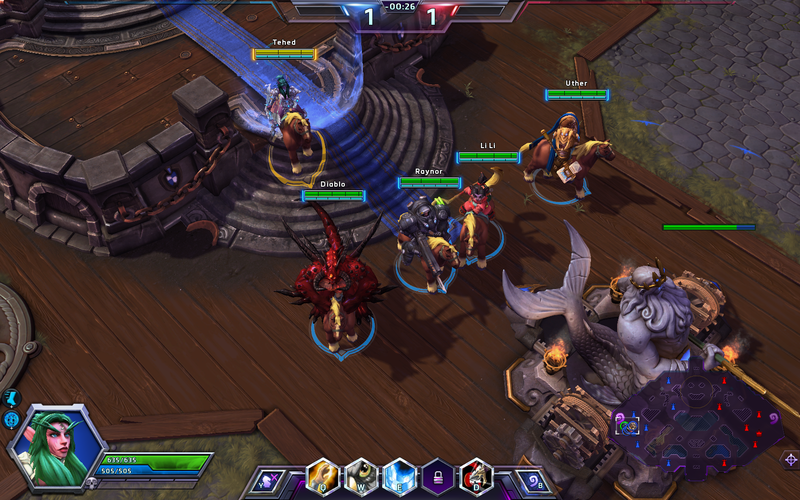 I don’t want to say that HotS is relying more on team play – it’s just a different kind of team play. In Dota, everyone has to do different tasks according to their roles all across the map whereas here, everyone has to do the same task and mustn’t depart from it. If you’re thinking to yourself now: ” Wow, this game sounds horrible”, you might have gotten the wrong impression though. The gamne itself is a lot of fun. It’s a lot simpler than the big old Mobas, but also faster, more action-orientated with shorter matches, cool heroes and great team fights. I really like it and when the Alpha/Beta has run a little longer and more people have joined, they also will get used to the different playstyle and start focusing more on the objectives. For me, it will never be a replacement of Dota, but could be an awesome addition to it. At the moment though I’m very frustrated from queuing as a solo player and I really don’t want to play it without a group. That said, I have to repeat that I’ve only played ten matches as of yet and I want to play some more to perhaps get a much better feeling for the game and make a final judgment for myself.